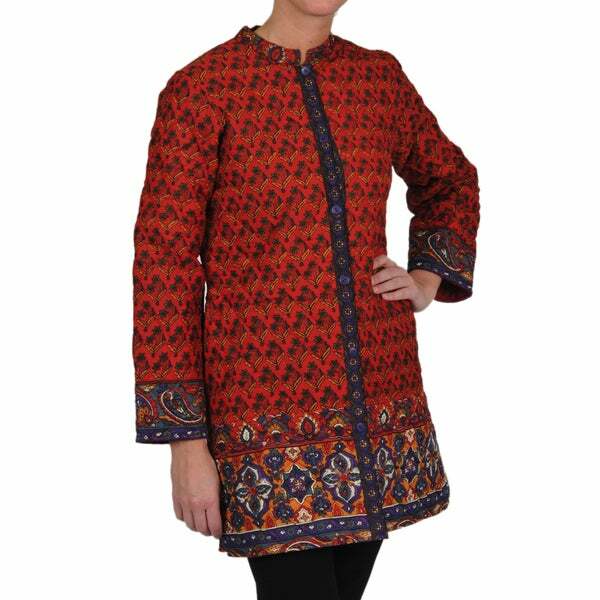 Stay warm and stylish in this lovely floral print quilted knee-length jacket from La Cera. The beautiful colors of this cotton jacket are detailed with a 6-button front, two side pockets, and a mandarin collar. This item runs large. It is suggested that you order one size smaller.